The primary joy of cycling is just a little more than walking! Grab the cycle, get aboard, pedal it and you are into a ‘ready-steady-go’ mode. Some love the city routes while some cherish taking the twists and turns of the mountains and some love going to the very arduous routes. But some of the best cycle routes in the world are a whole different ball game. 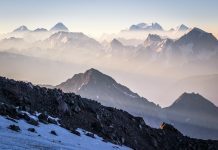 Whether cycling is life or something you enjoy in passing there are some routes that are so amazing that you can’t help but wonder what it would be like to take up the challenge. Some of these will require training, endurance, and resilience but completing them is surely going to be rewarding. Some are short and simple enough to attempt. But whatever your motivation or fitness levels, these cycle routes are surely going to make the adrenaline junkie in you start itching to try them out at least once. Here is a list of just some of the best cycle routes for you to complete your wish to pedal along on your journeys! 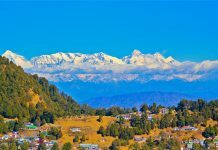 One of the planet’s most beautiful rides, spanning about 800 kilometres, from the beautiful Tibetan city of Lhasa and the Nepalese border, this isn’t a ride for everyone and is undoubtedly one of the highest. Including three road passes of more than 5000 metres, the Gyatso La mountain pass is a lung-bursting one with a distance of 5220 metres. 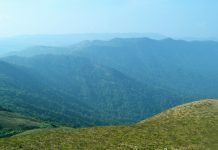 The reason to take this exhaustive route is to take a distant view of the Mt. Everest, however, you need some amount of luck to be blessed with a clear sky to cherish the view. 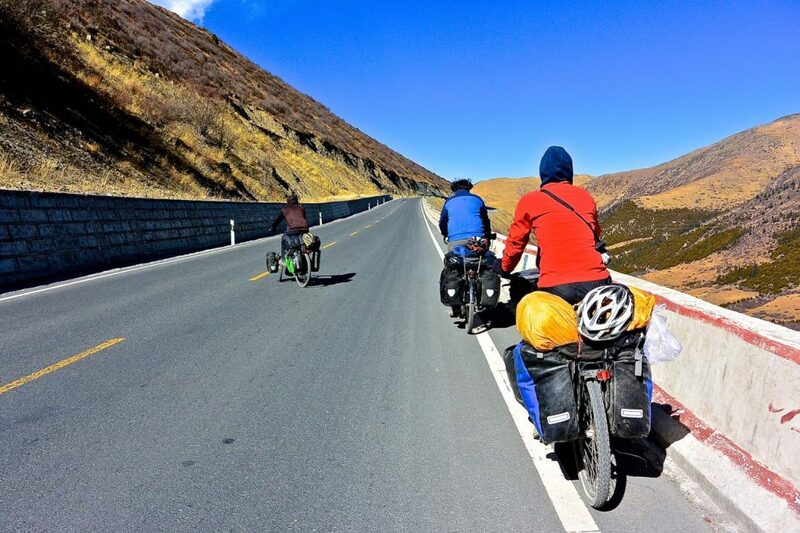 For a committed rider, this is one of the world’s best adventures where one gets to see the religious and cultural spirits of Lhasa & Gyantse, also the Gampa-La mountain pass (the one draped with prayer flags) makes it a cherry on the cake with the ‘Yamdrok Yumtso’ lake which shines brightly through the valley. The end can be relaxing though it comes with a 3500 metres descent off the Tibetan plateau’s edge and contains muddy hairpin turns. Precaution: One needs to plan carefully as the sensitive political situations in Tibet can be challenging if one is planning to take the route alone. This 270 kilometres route is one of the shortest but also the most exhausting one. Starting from the Pacific and continuing on till the Caribbean coasts, one has to find their way along the mud paths, coffee plantations, rainforests, and most surprisingly a volcano (an extinct one). 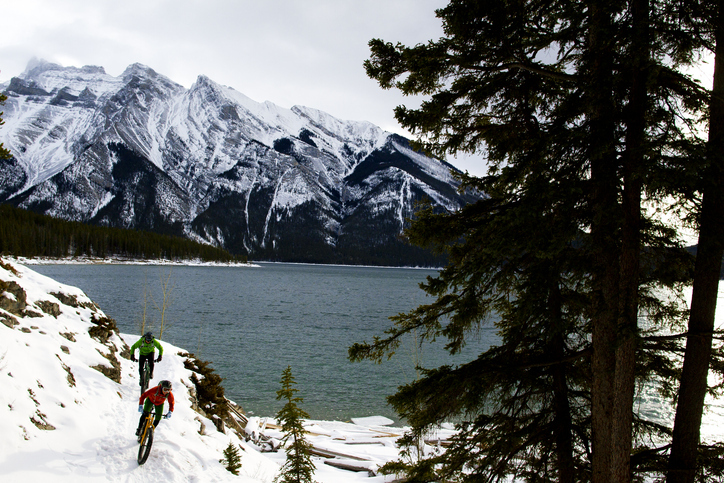 A better option is to complete it in three days each November as a part of the ‘annual mountain bike race’. This is one of the best cycle routes as it gives one a vast range of wonders to behold along the route. One can begin at the Jaco Beach surf resort, and soon find themselves on the dirt roads, full of red mud; just when one finds their way through this, the ascent part begins, which according to the official La Ruta route spans for 3000 metres to climb on day one itself. The journey takes you through the capital San Jose, then to the Irazu (extinct volcanic peak), then through the mangroves and finally to the beach on the Caribbean coast. As per the traditional method, one can end the journey by a dip in the Caribbean, however, it’s an individual’s wish to participate or skip it. One of the longest guided cycle routes of the world, funded by the EU, it is also known as Euro Velo Route 12. This route runs along the Shetland Islands of Scotland through its northern edge and then spanning Britain’s coasts and then to France, Belgium, The Netherlands, Germany, Denmark, Sweden and then ending up in Norway; this incredible route totally covers 6000 kilometres. If this is attempted in the winters, one can find the warmest place near Ostend, on the coast of Belgium. 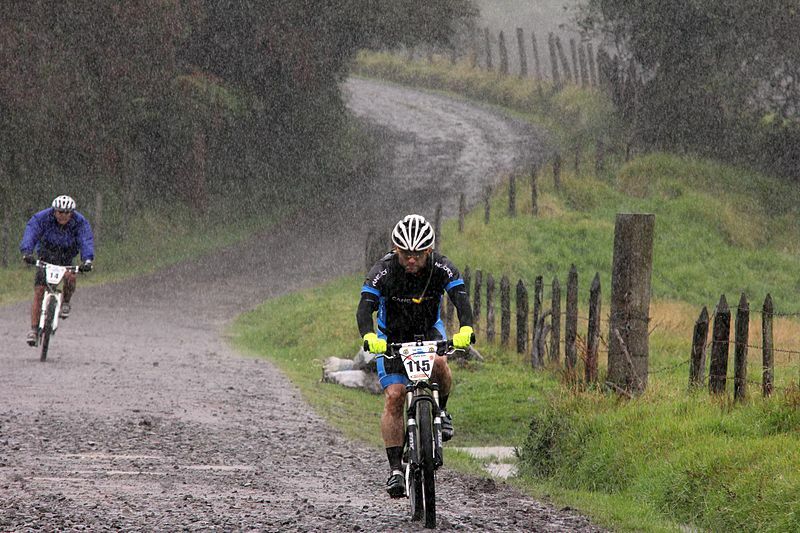 A better guide to the travel is the NSCR website which is flooded with tips from the riders who took past this ride. 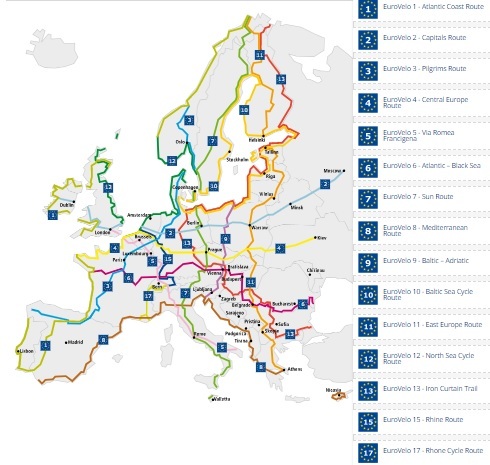 There are 17 routes offered by Euro Velo and these are amongst the best cycle routes in Europe. A lovely cycle route where fathers can have the company of their kids too, this is just a span of 64 kilometres. 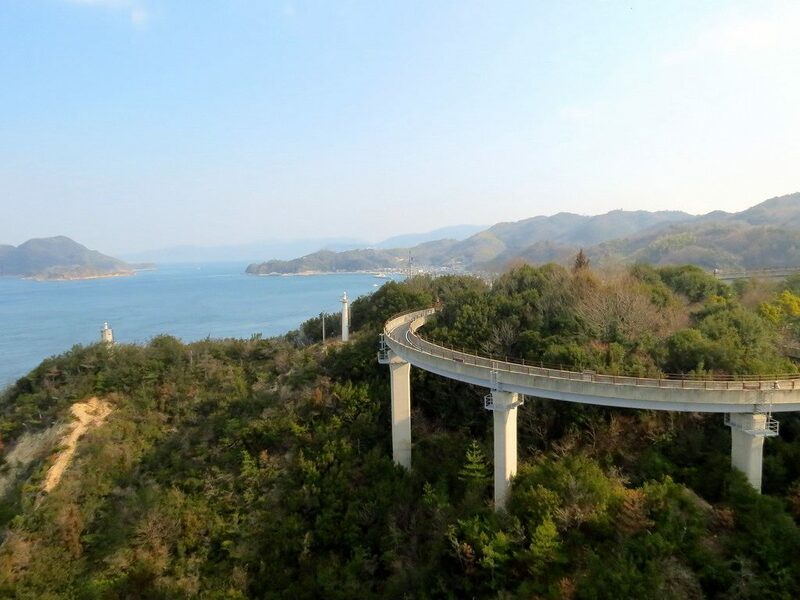 Passing through the west of the country, this cycle route takes you through the beautiful and scenic islands of Hiroshima. Although most of the people here have a preference for cars, you can also find an equal number of cycle enthusiasts. One can hire cycles at different spots on the way. Many of them complete the ride in a day while some take longer, gazing at the beauty of the Seto Inland Sea. This is one of the best cycle routes to take if you want a scenic journey that’s not too arudous. Note: There are toll booths for cyclists too at certain points, which may sound unusual but no need to worry as these will only cost a few extra bucks. For the Iron Man type of riders, this cycle route will be just perfect. The path covers a whopping 4400 kilometres from Canada’s Alberta to New Mexico. And if that is not enough, this cycle route has a combined 61000 metres of ascent. This one is the remotest of all cycle routes where you need to pack your bag with all the basic essentials and a stove too to cook some light meals. A rider can enjoy the woodlands and the mountains and then the wastelands of the ‘Great Basin’. These scenes make the ride a most spectacular one. Companions may be different ranging from moose, mountain lions, eagles and grizzly bears. Note: Opt to go in between June to September or even the slightest flash of rains might have you stuck in the mud for weeks. Also, do not forget to have an anti-bear spray in your backpack. Let us know in the comments below if you would be able to attempt any of these!